Amnesty International has accused politicians of using their General Election campaigning and political posturing to play with the issue of human rights as if it were a "football". 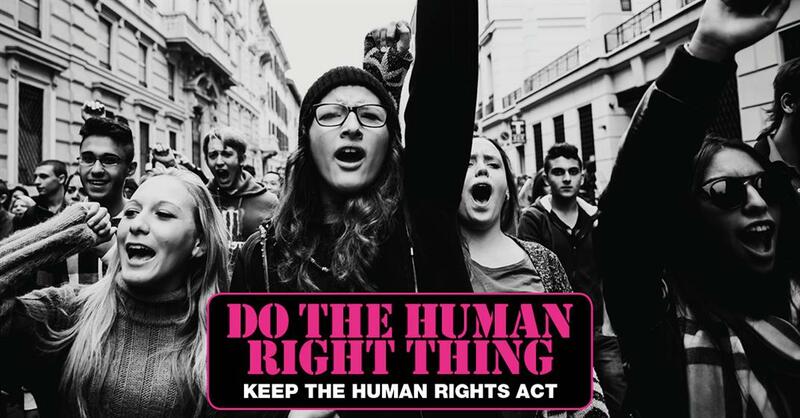 The charity today (16 April) launched a campaign ahead of the BBC-hosted leaders’ debate later this evening, calling on politicians with a campaign slogan stating, "Do the human right thing and protect the Human Rights Act". The ad campaign, which promotes a dedicated website calling for the electorate to sign a petition, features stories of people who have used the act to claim their rights. Stories include that of a woman with multiple sclerosis who was forced to spend all day in bed and used the Human Rights Act to gain care; and the case of an elderly married couple who were placed in different care homes, who used the act to convince their local authority to unite them. 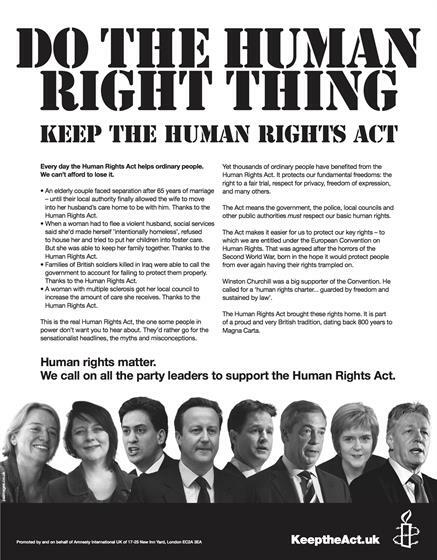 Amnesty has placed full-page ads in papers including The Times, The Guardian and The Independent, and on political websites including Conservative Home, LabourList and Guido Fawkes. 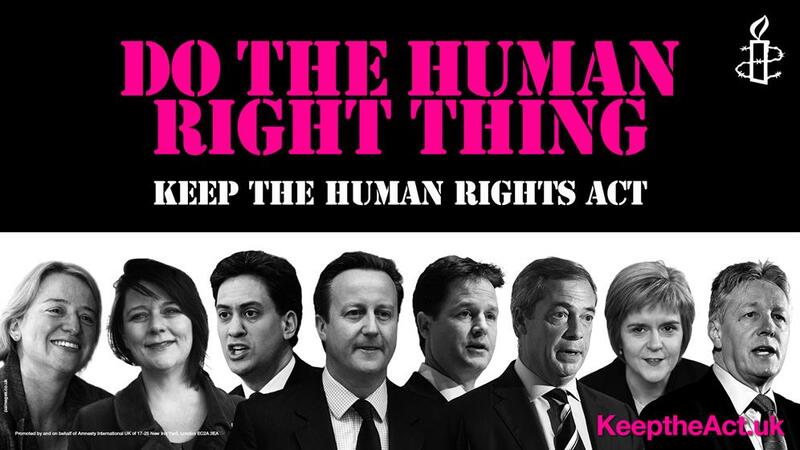 Kate Allen, Amnesty International’s UK director, said: "Human rights should not be used as a political football. They are not, and never should be, gifts to be doled out by the government of the day. "People all over the world are still fighting for their essential human rights, risking their safety and freedom. "It took ordinary people a very long time to win those rights here and we shouldn't let politicians take them away with the stroke of a pen." Amnesty said that more than 18,000 people have signed the petition to demand that the next government maintain and protect the act.